BBC Radio has lost Rob Cowan, its most knowledgeable presenter of classical records, to its commercial rival. Rob is part of a general talent and producer exodus from Radio 3. The station will replace him on Essential Classics with Prince Charles’s speechwriter, Ian Skelly. He might as well chuck out 90% of his record collection now. As it happens Will I’ll now need it more than ever …. I have plans to pursue a pretty broad repertory brief even though the tried and tested will have its place. Let’s hope Classic FM are going to allow him and his taste in music to be continued to be broadcast. Already, their online presence is fantastic and doing so much for the promotion of Classical Music and serious classical performers..good on them!! But why is he leaving? I was just listening to his interview with Tony Pappano this morning on Essential Classics. Radio 3 without Rob Cowan – unthinkable! A real shame for BBC R3 to lose someone so unique, with such an encyclopaedic knowledge of classical music, whose enthusiasm for music comes across so warmly, and who can interview so well. Rob will be a big loss to R3’s listeners. That said, in our household (amazingly enough, our children usually turn on R3 of their own volition, so we hear a lot of it) Ian Skelly is one of the R3 presenters we all really like. I’m afraid to say I won’t miss him at all. Nor me. I can’t stand the way he talks down to the listeners as if we are six year olds. Regarding the six year old theme – in a way, you’re right, I mean me being like a kid let loose in a sweetshop. That’s how I feel, and maybe that’s how I sound – ebullient and wanting to share. In that sense you’re better off with middle-aged sobriety, of which there is a great deal to choose from elsewhere … much of it excellent. I had missed Rob Cowan’s departure from Radio 3.
learning the ropes by tuning in to Classic FM. bosses can see the audience decline before their eyes. Yes…the world is changing. Radio listeners are changing. 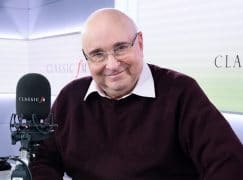 You all seem to be forgetting that Rob Cowan co-presented the weekly Classic FM CD review show for several years in the 1990s before he went to Radio 3. That statement is a bit puzzling in isolation. Are you pleased that R3 is rid of him or that CFM has him? And why? I’m ecstatic he’s leaving Radio 3 and couldn’t care less about him moving to Classic FM, as he’ll still be a pain on that station and I rarely listen to it anyway. As soon as RC comes on, it’s enough to make you fall asleep…….he’s an utter bore! Is that clear enough for you? The news about Rob Cowan is confirmed by press releases from both Classic FM and Radio 3. I have mixed feelings about it. Mr Cowan, for all his encylopaedic knowledge of classical recordings, has never struck me as particularly discriminating, and I find his broadcasting style increasingly grating (in contrast to that of Ian Skelly, in fact) – though of course this is a matter of personal taste. Your suggestion that ‘Rob is part of a general talent and producer exodus from Radio 3’, however, is unevidenced by you, and I can only suspect you of mischief-making, given the extraordinarily and inexplicably spiteful animus that you directed towards Alan Davey on his appointment. Alan Davey obtained his last two jobs by means of patronage. That is not spite; it’s fact. As for the Radio 3 defectors, I may compile a list. Alan Davey obtained his last two jobs by means of patronage. That is not spite; it’s a matter of public probity. As for the Radio 3 defectors, I may compile a little list if I can spare the time. A matter of fact, or a matter of public probity (whatever that means), Mr Lebrecht? Make your mind up. Where is the press release from BBC about Rob Cowan leaving? I have hunted on the BBC website, and on the Radio 3 website and not a mention. I, for one, will miss his warmth, knowledge and enthusiasm greatly. “Most knowledgeable presenter”? What about Sarah Walker with her PhD in performance practice? Or the excellent Martin Handley, a professional musician? I will not miss Rob Cowan’s unctuous tones, nor his indiscriminate over praising of everything he plays, though he is not alone in that. Thanks for your responses, both favourable and unfavourable. As for myself, I’m looking forward to bringing both rarities and tried and tested greats to CFM though I shall miss R3 and the wonderful team that works there. Looking forward to hearing you on Classic FM, Rob! You will be a loss to R3, but at least you are being replaced by someone who is knowledgeable and has an excellent ‘radio voice’! I remember being introduced to all sorts of interesting repertoire on your programme in the early days of CFM. I appreciate your dignified response to some unkind comments posted here and wish you well in your new role. Thank you Ruth and everyone else. I so appreciate your positive remarks. Regarding Mr. Philips, and in spite of his justifiable praise for Sarah and Martin, both of them first-rate presenters, I might point our that aside from my journalistic work I have lectured on performance practice at Trinity, the RAM, and the Guildhall, as well as giving pre-concert talks on the same subject (Barbican, RFH, Wigmore). I may have been a poor cellist and violinist, but I did at least have a bash and I regularly find my way around full scores. No I’m not an academic but I’ve been listening to classical recordings for some 55 years which I hope lends my views some credibility. I suppose you can’t please – or convince everyone – but I thank most people here for their kindness and generosity. Spot on Ruth. Rob is the most outstanding classical music broadcaster of his generation. I feel shocked to read some of the gratuitously nasty remarks of some on this thread. It reminds me of inadequate sophomores bitching about their lecturer in a questionnaire. Thank you Professor Goldberg. I can never understand that sort of attitude. I have you to thank for my enriched love of classical music over the last 20 years, whether on the Radio or reading Gramophone magazine. So I’ll be listening in to you on Saturday evenings in the same way as I have done CD Masters and Essential Classics all these years. Is the Classic FM pay and conditions way better than R3? Pension or have you it all offshore? I hope that you read my comment that wrote elsewhere on this thread. I don’t agree with many of the comments here – I thoroughly enjoy your broadcasts – I don’t feel talked down to at all, I am totally absorbed by your comments and feel well informed. I love the way you lever apart the glazed surface of mainstream choice and reveal the absolute wealth of wonderful and elevating music that is hidden away or buried for no good reason – to my mind. I am delighted to discover you are on CFM – indeed I will say that I now listen to CFM much more because of your presence there. Thanks god you have not disappeared. I feel you really will challenge the tedious repetition of ‘popular classics’ (not that they are bad in themselves – it’s just the over reverential repetition that gets me. Tell you what – instead of the endless performances of Brahms Violin – what about Schostakovitch first violin concerto – especially the passacaglia – or Brittians, Bergs, John Adams, Pendereki etc. So much great stuff never played – now has a chance – can’t wait!!!!! Just why are you leaving, Rob? My wife, though she of course wishes you well in your new role at Classic FM, is devastated by the news of your departure. We both have fond memories of meeting you at the pop-up studio at the Royal Festival Hall a few years ago. An engaging presenter, a thoroughly nice person and a mine of expertise, freely shared with his colleagues and audience. As to the question of how “discriminating” he is, I’d only say that the role of a professional radio presenter is not, necessarily, to act as an unbending arbiter of taste: they’re a chairman, not a judge. And I’d add – from personal experience – that when you discuss music with Rob one-to-one, his judgements are firm, fair and grounded not just in an extraordinary depth and breadth of listening experience, but a profound musicianship. Radio 3’s loss is Classic FM’s gain. I shall miss Rob Cowan, because apart from his taste in music, he just seems a good-natured, down to earth, unpretentious, friendly bloke. Hi Rob, wish you well at CFM. I remember you there in 1992, infact somebody played all the movements of Rattle’s new Mahler 7 over a period near that time, perhaps it was you? I hope you get round to listening to a new recording of Louis Glass’s 5th Symphony conducted by Daniel Raiskin on the CPO label. It’s excellent! The symphony has a subtitle: “Svastika”, but it has nothing to do with the Nazis. Norman, how about a review from you too? It’s good for Radio 3 to evolve, and great to hear the likes of Suzy Klein and Ian Skelly given more prominence in the key morning slot, but just downright rude and completely unnecessary to say anything other than a huge ‘thank you’ to Rob Cowan (and Sarah Walker also), for all that they have contributed to Essential Classics in recent years. I would like to thank them both personally for the many mornings I have hugely enjoyed, accompanied by coffee and crossword puzzles, over recent years. Many’s the time I have hastily scribbled the details of a particularly lovely recording, often then buying the CD… Presenters clearly feel a loyalty to their listeners, but also have their own career paths to forge, and personal circumstances to adapt to. So from time to time they may change programmes or stations, for whatever reason. Let’s just say a heartfelt ‘Thank you’ and consider them part of the extended Radio 3 family, wherever they may be broadcasting from in the short term. Maybe Rob will return to R3 one day. Hope springs eternal! Meanwhile, my thanks go out to him for 17 inspiring years. Rob’s was the first voice I heard when tuning in to R3 some 5 years ago after a long gap in radio listening. I was immediately captivated by his warm, friendly style of presentation and of course his vast knowledge of a huge range of music. He has been a wonderful guide and I’ve learned so much from him as has my son. My family, friends and I were devastated to learn of his departure from R3 and all of us are missing him. Some of the snooty remarks on this site are disgusting , you don’t need a degree to be a superb presenter as Rob was/is. All good wishes in your new post at CFM, we’ll be tuning in for sure. A very happy new year to Rob and all his followers. As it happens the CFM sequences are proving every bit as interesting as the ones I was involved in for R3, except that I curate them myself – which in the long run I hope will prove a good thing. Haitink’s 2017 Munich Bruckner 6 tonight and a Philip Glass ‘sure shot’, not a composer I’m consistently enthusiastic about but a good piece. Very best to all for the New Year. News travels slowly to this northern fastness but I didn’t want to miss the opportunity to express my thanks to you. I’d like to associate myself with all the generous and appreciative comments others have made. Thank you for all you brought to your time at R3. You helped me develop as a listener, whether it was in opening up new repertoire or in listening afresh to what I thought was familiar. It’s that blend of knowledge, passion and the invitation to listen with ‘an innocent ear’ which I shall miss. I may have to break the habit of many years and listen now to ClassicFM! Thank you so much Kevin. Do try Cowan’s Classics – if you can’t listen on Saturday (7-9pm) go on the CFM website, click ‘Listen’ in the top right hand corner which opens a new window; after the advert, you’re then clicking onto ‘Listen Again’ which brings up an alphabetised list; and you can see Cowan’s Classics with Rob Cowan. So far I’ve brought Reger, Bruckner, Glass and many others to the programme and have received some appreciative comments – so hopefully the formula is working. I’m certainly enjoying myself! With very best wishes, Rob. With Christmas chaos and a long brush with Australian Flu, I somehow missed the news that Rob was going to CFM until today – I’d just not heard him for some weeks. I note some very unpleasant, superior, and grating comments by some unpleasant, superior, and grating people – and can only say that I’m missing Rob’s warm personality, deep knowledge, and thoroughly comforting presence in the morning slot. I can only say good luck on CFM and let’s have you back on Radio Three sometime soon. That’s extremely kind of you Martin. Thank you …. but do try and listen to my CFM slot if you can, if not as it goes out then on listen again. Hope you’re better now. I am among the big fans of Rob Cowan and I will miss him greatly on Radio 3. He is too polite and diplomatic a man to say what really caused his departure and I suspect ( without any evidence ) that it was some change in BBC management ( a touch of ‘W1a’ possibly? Who decided to add the ‘relaxation’ spot into the morning shows for goodness sake! ). Rob has both depth and breadth to his knowledge and I still have his Building a Library overview of Beethoven’s 3rd symphony on ‘tape’ as an example of his art. Any chance of the occasional return to Radio 3 I wonder? Thank you so much Paul for that. Most kind of you. The truth of my departure from Radio 3 is very simple: Classic offered me an alternative presentation job on Cowan’s Classics, 7-9 on Saturday nights at classicfm.com and I took it. I was very sorry to leave Radio 3. In my heyday there I had a whale of a time: I ‘curated’ my own programmes, included all manner of interesting novelties/rarities and was able to broadcast great performances, both new and old, of complete masterpieces. I think I’m a fairly friendly presenter but I’m more earnest/enthusiastic than relaxed. Great music is a serious business and although you don’t have to serve what you play with a furrowed brow or with the voice of a toff, you do need to give the full facts, without compromise and with plenty of genuine passion.The goal posts on Essential Classics had changed – understandably, given the fresh brief – and I was too far from the newly placed goal to land a forceful kick. At Classic I am, and I seem to be picking up a keen audience, which I’m very grateful for. Incidentally, regarding BAL – I covered Beethoven 2 and 4 but not 3. Could it be one of those that you heard? Best wishes, and thanks again, Rob. I’m intrigued by Rob’s comments about Essential Classics’ moved goalposts. Although there have been a few tweaks to the format recently, I had thought its tone and remit were largely unchanged. Comments, anyone? re EC, my decision to leave was simply because of the lack of larger, full scale works, which used to be such a prominent feature on the programme. I have no problems presenting movements on a station that does just that – with an audience that appreciates the opportunity to sample great music in that way. What I wasn’t happy to do was present movements on a programme where previously I had presented full-length pieces, sometimes reaching the 1 hr mark or beyond. On Cowan’s Classics I can build a sequence that will hopefully stimulate enough interest for people to investigate further, either on disc or on line. Feedback would suggest that it’s working. With EC, the choosing process was, when I resigned, largely down to the producers, and fine though theyare (the producers, that is), many of the choices weren’t mine. As Alan Barker says, my brief is that important music must be heard … and that’s where I’m coming from. On CFM all the choices are mine. I am basically a message boy, a music lover enthusing to other music lovers, no more, no less than that. Best to all. Thank you for your reply, Rob. It is sad to have to accept that Essential Classics appears to be going “downmarket”. I have been listening to Radio 3 ever since the days of Cormac Rigby, and by and large I think the channel remains unafraid to broadcast to what must be quite a niche audience at times. Long may it continue. As for Cowan’s Classics, thank goodness for the Listen Again facility, as it’s proving hard to get into the habit of listening to music radio on a Saturday evening. All the best for the show from Elizabeth and me! I love your new Classic FM show, Cowan’s Classics, Rob. However, I have but one negative comment – it goes so quickly!! yes, your right. I meant Beethoven’s 4th. I was too intent having a grumble at Radio 3 ( which I love!) that I got 3 stuck in my head. I just miss the combination of your passion and knowledge! I do like the current presenters in fact Ian Skelly has me laughing out loud at times. It’s just that there’s a feint whiff of them having to make the program ‘more accessible’ unless I’m mistaken. You might not thank me for this suggestion but have you considered setting up a web site where we could find your recommendations for listening to exceptional recordings? Since the demise of the thick CD recommendation books, it might be a hit! Anyway, good luck to you Rob and I shall just have to record your CFM show and play it back during the week! I’m late to the party here, but I feel compelled to write that I’m genuinely appalled by the gratuitously nasty and spiteful comments that have appeared on this thread. Though there is certainly no end of bitchiness in the classical music business, many of these comments are quite simply beyond the pale. I do not know Rob Cowan personally, but a few years ago was in touch with him professionally, regarding an orchestral recording project in Vienna with which I was involved. He was gracious, supportive and genuinely interested, qualities which come across in his announcing and writing. His vast, insightful knowledge of the repertoire is indisputable, and is the reason I continued to tune-in to Radio 3 after I moved to Austria from the UK. I wish him all the best at Classic FM. Thank you so much for that. A hazard of being in the public eye I suppose, having a radio ‘personality’ that people either like or dislike – in that one respect Radio 3 is as much a lifestyle station as Classic FM. People read things into your presentation that aren’t there or ignore things that are. But there you are. Very best. Rob. In spite of having read the two previous posts, I’ve decided, with some hesitancy, to add a small note of adverse criticism. But, for goodness sake, don’t take it the wrong way, Rob. Ever since you switched channels, I’ve been regularly listening to your CFM program and have enjoyed it. However, my wife recently listened to it for the first time and said that you were very slightly talking down to your audience in a way that you never did on R3. With that in mind, I listened more carefully to your program last Saturday, and came to the conclusion that she may be right. Perhaps it’s got something to do with your having a feeling that – right or wrong – the musical standards of the CFM audience are not quite up to R3’s. For all that, it’s not going to stop me listening every Saturday evening when I can. Hi Rob. I speak as someone whose name you read out many times apropos of the daily brain-teaser over the years! I listen to both Radio 3 and Classic FM avidly and will look forward to your shows. If you can have any influence at all over such things, perhaps you could get your new bosses to do something about Classic FM’s generally awful sound quality due to the crude compression used on everything they broadcast. Great in the car but terrible for home listening! ‘Car and kitchen’ is my take on it Steve – and I’ve already made the point at HQ. Funnily, some programmes come across as fine, whereas others seem more compressed. But I’ll have words again. Thanks for the prompt. Best wishes. R.
Thanks, Rob. After a bit of googling I’ve discovered the HD streaming for my iPhone, which sounds much better. Ironic that I can access much better sound quality through my tinny little Bluetooth speaker or headphones than through my home hifi with FM stereo aerial…! That’s extremely valuable Steve. Thank you! Even I didn’t know that! Will investigate further myself. It only occurred to me last night that Rob Cowan was no longer around on Radio 3 and a\s I never listen the Classic FM I hadn’t realised that he moved on. In some ways that’s a reflection of the way I use Radio 3 – I haven’t the time to listen to whole programmes from start to finish – instead I note down the music in each programme that might interest me and occasionally sit down for a couple of hours and listen to it via the iPlayer. In that sense, therefore, I haven’t missed Rob, but I have always found his comments about music to be interesting even if I don’t agree with them. That said, I think everyone should realise that they are not indispensible. Presenters come and go and the world is richer for that fact. New people have new ideas and a different taste in music. Radio 3 has several excellent presenters at all stages of their careers, some young(ish), some older, but they all do a good job. So I wish Rob all the best and thank him for what he has done. Forget you Rob….never, nor will we forget your colleagues James Jolly, Jonathan Swain and Sarah Walker the latter 2 we hear far less of on R3 these days. You are right, we listeners have no choice. It’s a pity that the powers that be don’t bother to find out what we regular listeners like or want. Happy days at CFM Rob. Rob says, in his usual self effacing way, that he is just a ‘messenger boy’. I think not! In many ways he was/is the message, bringing great performances of great music with explanation and reasoning behind each choice. Now some anonymous producer picks the playlist without us knowing the whys and wherefores. That’s okay for Radio 2 where there’s only one, or occassionally two versions of a piece, but not for the Classical Canon, where dozens of interpretations abound and where we need the knowledge of a Rob Cowan to enrich our understanding. Perhaps, considering the relatively small audience Radio 3 has then we should just be grateful that it continues. But if we Radio 3 listeners value our culture and intellectual heritage then surely we shouldn’t be allowing such a valuable asset as Rob to just go, or am I missing something? Thanks Paul for your generous comments. If I properly understand it, what you’ve just said contains the nearest you’ve come so far to giving a reason for your change. But then, as you seem to be saying yourself, your new program, though well past midday, does not offer a “fuller meal” either. It can hardly do so in a mere two hours. Nevertheless, I much appreciated the Nielsen on Saturday! My problem with Radio 3, with and without RC (about whom opinions are divided as with all radio presenters) is that, over the years, the spoken word has tended to take up an increasing proportion of daily air time (and Rob was among the more loquacious it must be said). Phone-ins, text, email messages and the like have compounded the problem to the extent that I find myself trawling the internet for classical music radio stations with less verbiage in Australia and Germany for example. That said Radio 3’s live evening broadcasts, Through the Night and the likes of Donald McLeod’s Composer of the Week are peerless and the good news is that Radio 3 no longer have to find space for Rob’s huge rucksack! What distinguished Rob Cowan from most of his colleagues on R3 was that his commentaries were well researched and therefore interesting. He didn’t just spew out tired snippets like Bach walking 100 miles to hear Buxtehude play the organ, the chandelier falling from the ceiling during the first performance of Haydn’s 102nd Symphony, or Beethoven tearing up the title page of his third Symphony when he heard that Napoleon had made himself Emperor. I’m glad to say that he’s continuing the tradition in his new role – albeit to a lesser extent as he has less time. He’s still the best. My only disapprobation is his decision to leave R3! And I’m currently listening to a spirited performance of Mars conducted by Boult. Another inspired choice by Rob. Dah.. Only just caught up with the Cowan move,. Had a quick read through the above and think maybe we might not know the full story of what went on behind closed doors. Follow the money, as they say. Brilliant that the ‘Vesace’ of classical music is still broadcasting his tailored choice to the nation. ‘Follow the money’ …. I wish … though at least I am earning a living. They’re a great bunch at CFM and yes Mike I am able to tailor my choices. No use having me on at all if I can’t. And Robert, you may mean what I wrote on 27/2, in which case, yes, that just about sums it up … as fairly as I can. Best to both. Rob. I listened to Essential Classics this morning. There was was so much dribble – particularly about what should follow the Candide Overture – that I turned it off. Therein may lie the reason for Rob’s move. He hinted as much himself on 17 February. Thanks so much for that Mike. I sort of thought as much but I also had in mind a posting on a another site which ludicrously counted me among the high earners on radio. Not quite! Very best. Rob. I’m listening to Rob’s CFM programme on the Listen Again feature every week. I sometimes break it into a few sections over a couple of days, depending on work commitments. I urge all previous listeners on Radio 3 who, like me, followed Rob, to do the same. I am really enjoying the Artist if the Week slot. This was something I loved on CD Masters. I can recall several of those programmes in my head over the last 20 years, and these resulted in me exploring the recordings of these artists in greater depth. Best wishes to Rob who was Radio 3’s doyen of classical music presenters. I quite enjoyed Ian Skelly in his late night discussion/chat show mode, but doubt whether he has the credentials to hold the music slot together. The information that he wrote speeches for Prince Charles has cooled my enthusiasm however, and come to think of it, much of Ian Skelly’s presentation was foggy and meandering before. As they say their loss is Classic FM’s gain, as I witnessed this evening. Searching IN DESPERATION for something USEFUL to listen to on the radio I selected CFM and was SURPRISED to hear Rob Cowan’s voice linking and explaining Bach’s D Minor Toccata with Buxtehude and JS Bach’s 200 mile pilgrimage to hear the elder composer at the organ. Now that IS “classic” Cowan. Entertaining and educational. PS I can’t see Skelly lasting in this new role and predict any of the regular “Through the Night” presenters will be soon answering the call and resetting their alarm clocks. I reckon Jonathon Swain. Thanks David. Jonathan and I did CD Masters together for six years and he was a joy to work with. Of course both guys are gifted presenters but if for some reason Ian decided to move on then I agree JS would be an ideal replacement. Best wishes, Rob. My wife & I had been wondering where you had “disappeared” to, as in the last 15 months we had been tuning into you on Essential Classics, as we had both given up full-time work. We missed any kind of announcement of your move. We just loved your manner & your child-like enthusiasm as well as your introduction to new works & historical recordings as well as your broad knowledge of music and the time you must have taken to put the day’s show together. I feel if you have gifts then share them, so we are thankful for your generosity. The other special gift was your wonderful conversations with the various guests, which were all revealed new information about them. So we are sad to be missing your dulcet sounds on R3 although I am not so happy about the new format of the programme, particularly as the interviews have now been reduced to 5 mins! Maybe that was one of the reasons for moving to CFM? Perhaps it is time for us to tune in & continue to hear you in your new guise. 17 years is a good & long innings & we all need change. As to some of the sharp reactions you have had to deal with (with such deft lightness & humour! ), we all have that ultimate choice of turning the off button. We wish you well & have a deep appreciation of all that your have shared. I’ve been in France for a few months where I listen to Musique on the radio. Just realised Rob has gone from R3! I missed him as he has punctuated my life as did “Uncle” Peter Barker did when I was a young schoolgirl doing music GCSE. Rob was there when I was dealing with my energetic children ( now teenagers and one in their early twenties). This is where radio has its edge over the TV.. you can set up Play Doh, train sets etc while listening. Rob kept me sane with his gentle voice and fab music choices. I’ll miss him in the way you can miss your childrens’ childhoods, but treasure the lovely memories we made together. Good luck at CFM,Rob. Enjoy! Those are lovely sentiments Seraphimin. Thanks you for expressing them. Best. Rob. Just discovered you’ve moved Rob. Always enjoy listening to you. As long as you continue to reserve the word “great” for performances that deserve it you’ll grace CFM. The 1812 Overture! Well, well, well. . . Thanks Rob. I’ll certainly be listening to that – Bernstein is one of my heroes. I’m sure it will turn out to be a spectacular performance of a flamboyant work. But the composer himself didn’t care much for it, did he! To keep future readers of this admirable thread in the picture, Tchaikovsky’s 1812 Overture – somewhat surprisingly to my mind – came top in Classic FM’s Hall of Fame this year. I have come to this rather late!! Having been abroad from Dec. 4th to April 24th with rather appalling internet) it took me some time to realise that the presenters had changed to my wake up music programme! Not only that but the very feeling of it has changed almost beyond belief. It is trying to gain Radio 1 listeners I reckon!! Whilst I do NOT regret missing the awful tones of S.W. ( who maybe the most delightful of ladies but her voice grates & as for the “condooctaws” ugh) but the disappearance of R.C. who at least is not northern seemed rather sad. I am glad to learn that he is on CFM & must try to find the listen again bit…might be able to fast forward on the awful ads? Any other broadcasts Rob? I have to say that I find Ian Skelly very difficult to listen to; with his very clipped “received” pronounciation he sounds supercilious and a throwback to the 1950s in contrast to Rob’s very relaxed broadcasting style. Skelly makes too many mistakes and his attempts at humour are pathetic. As soon as I hear him saying ‘Welcome ALONG’, I switch off! His knowledge of music is a fraction of that of yours, Rob. Sarah Walker, on the other hand, is superb. Who really cares about her accent? Rob has just played ” I know that my redeemer liveth” on Cowan’s Classics (Sep 1st)….Elsie Morrison, RLPO, Malcolm Sargent…..what a good choice, a lovely rich sound. Last week we had a Handel organ concerto conducted by Karl Richter. I can see why Rob left R3, this style of playing Handel would never be allowed on the (W1A) BBC these days….Cowan’s classics is superb, immensely educative. It reminds me a little of the wonderful Alan Keith and his 100 best tunes that I would listen to as a teenager to find out the names of these tunes. And Alan would play Sargent too….keep up the good work Rob! Thanks so much for that Stephen. How lovely to be compared to Alan, an early hero of mine. In fact when I first worked at Radio 3 in the late Sixties I used regularly to encounter him in the record library. I will never forget sitting in my bedroom one Sunday night listening to his programme when he played, quite out of the blue, a 78 of Chaliapin singing Massenet’s Elegy (in Russian). I was moved to tears and it took years for me to find a copy (it had never been transferred to lp in those days). One day I chanced upon an old record shop near Finchley Central. The proprietor was ancient, so I was filled with a sense of hope. I enquired about the Elegy disc and would you believe he pulled a copy off the shelf – it was unplayed, in other words new! I’m so happy that you enjoy Cowan’s Classics. I’m glad to say that I’ve received quite a bit of positive feedback. Of course I choose plenty of modern recordings as well but the reason I also feature vintage material is that it’s of such high artistic quality. The other week I played Heifetz in the Korngold Concerto. Someone wrote in, desperate to trace the recording. ‘I have Nicola Benedetti,’ he said, ‘but this was something else …’ The educative element that you so kindly refer to is like an invitation to a journey, and taking your W1A cue – the route I prefer to take transcends any known postcode. Now that you are free of the deep state (!) could you put in a good word for at least some of the work of our most neglected British composer Alan Bush by way of that superb ASV recording of his 1947 Three Concert Studies (actually a substantial modern piano trio) brilliantly performed by the Barbican Trio. The Gramophone review of this disc stated “The continued neglect (studied neglect on the part of the BBC) of Bush’s music is nothing which Britain should feel proud. What relevance have the political views of a man who can write music as good as this?” and “these musicians revel in its richness in performances that are fresh, very musical and technically brilliant with excellent recorded sound to show them to their best advantage.” I hope you bring this record to the wider attention of music lovers by broadcasting the Concert Studies – at least the phenomenal first one – on your show! Apart from that ASV is an under rated label – boasting some great chamber music performances and of course the Lindsay Quartet!